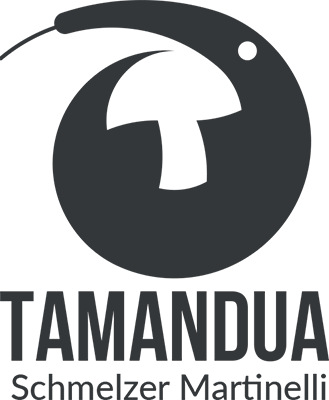 Tamandua is an urban, architecture and furniture design office based in Berlin. It was funded by Ferdinand Schmelzer in 2014 and joined by Letizia Martinelli in 2015. We are devoted to promote useful, affordable, sustainable design at all levels, one project at a time. Architect and designer, globetrotter, maker, with study and work experience in Germany, Italy, Austria, Portugal, Tunisia, Brazil. With long practice in architecture and urban design, he is also an expert in industrial and furniture design, with excellent building and construction skills, working with complex parametric geometry, Computer Numerical Control (CNC) fabrication and recycled materials. He has taken part in numerous design and art exhibitions with furniture and art installations. Architect and researcher, ecologist, geek. Curious and restless, her professional and academic experience has been driven by the passion for sustainability, as an ethical principle as well as a practical inspiration. With a Ph.D. in Environmental Design, her approach ecompasses energy efficiency, rational use of resources and thermal comfort, both indoor and outdoor, as fundamental to the project.